Curt Trawick is the President of Weston Trawick, a leading provider of electrical contracting services in North Florida for the past 30 years. Founded in 1983, Weston Trawick quickly developed a reputation as specialists in residential wiring, and soon branched out to commercial electrical contracting. Curt was brought in as a partner in 1988 and assumed sole ownership upon the retirement of Bernie Weston in 2004. Curt has over 30 years of electrical experience. 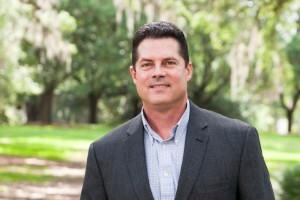 Weston Trawick has grown into one of the largest and most respected locally-owned electrical contractors in the area, licensed in Florida and Georgia. In addition to work in both commercial & residential new construction, Weston Trawick has a state-of-the-art service division for their customers. Their service department provides electrical, fire alarm, and data communications services, offering service level agreements to a variety of residential & commercial customers. Curt has been happily married to his wife, Wendy since 1988, and has been a resident of the Tallahassee area for 37 years. He enjoys the outdoors and is an avid hunter, fisherman, and amateur sports car driver. Curt also supports his church, local fishing clubs, and grade school sports, and is a Seminole Booster.